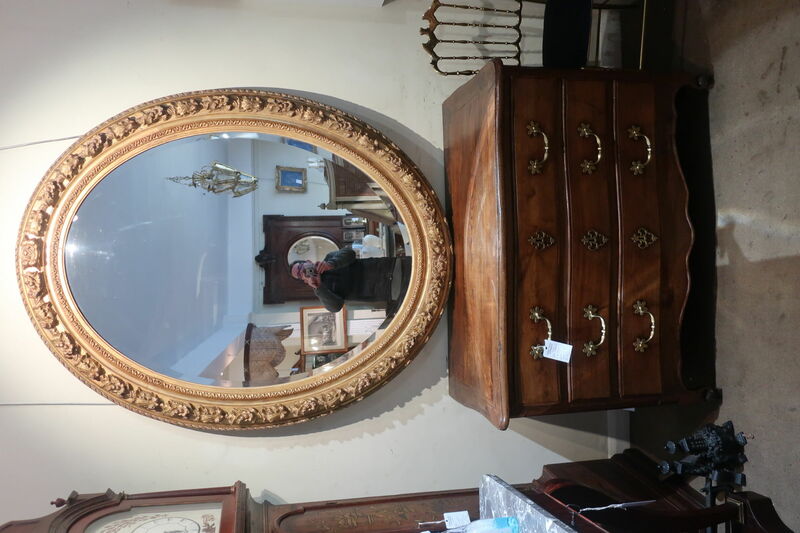 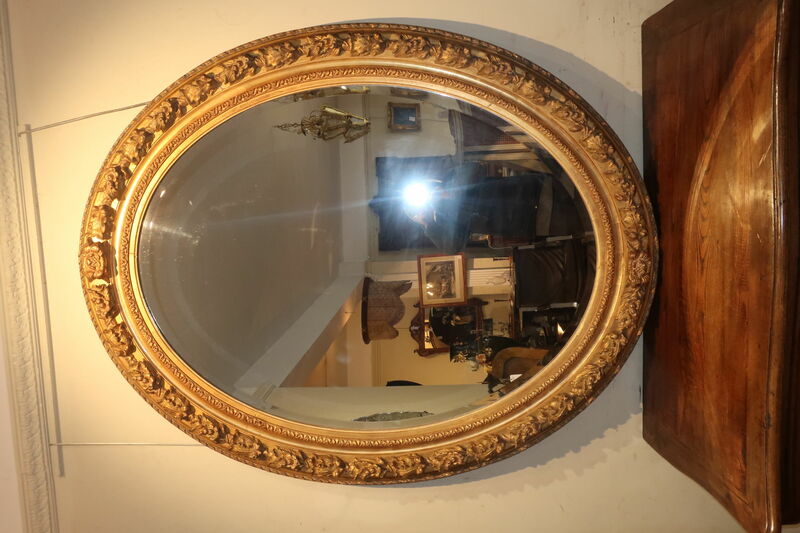 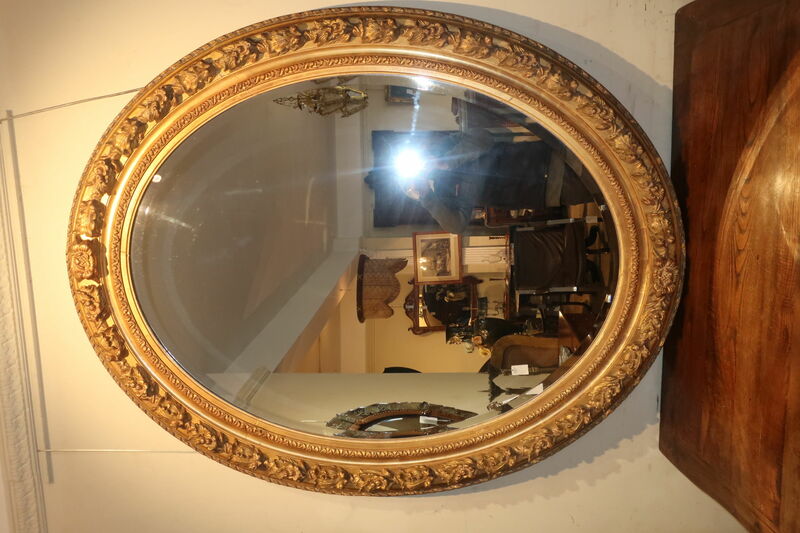 An unusually large gilt oval mirror, which can of course be hung in portrait or landscape position, with beveled mirror and flower decorated gilt stucco frame all in excellent condition. 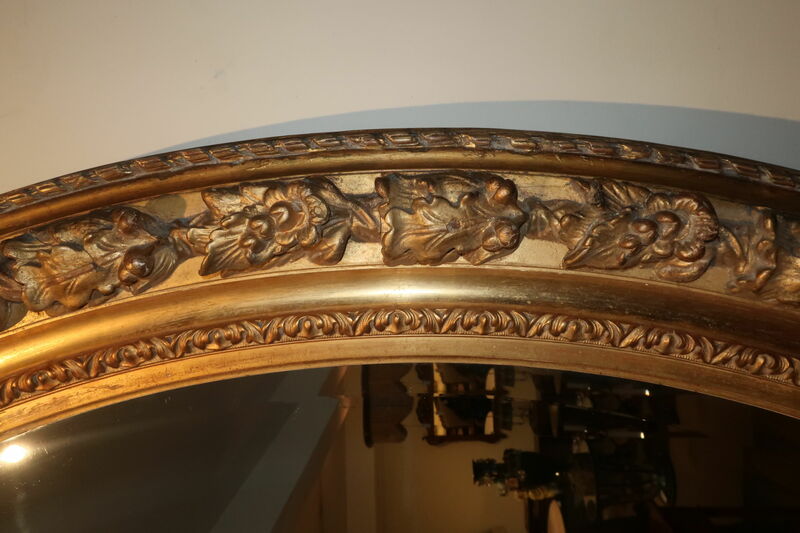 An unusual and very decorative find. 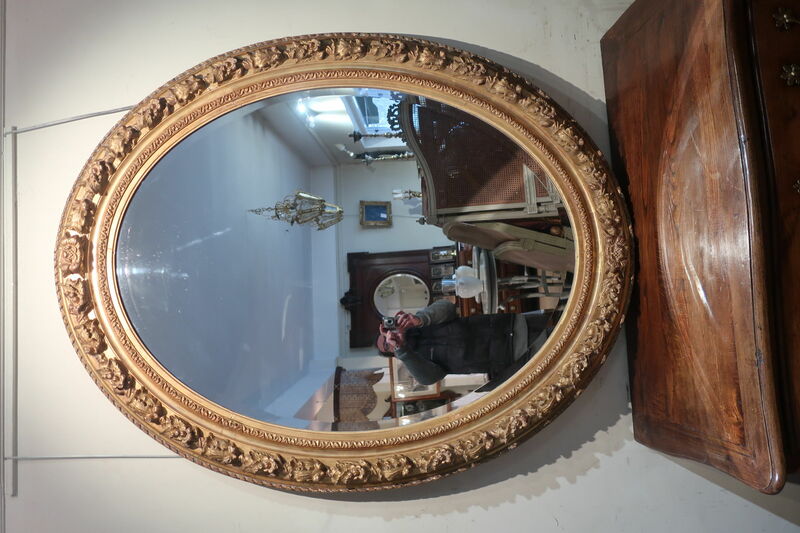 Dating to the 19th Century.